As we prepare for our departure for Europe in a month, let us leave you with this, Toronto - A Sensible Gathering, our sporradic double bill with the fine young men of Big Fella, is going to have one more installment before we go. For this show, our special guest is the inimitable David Dineen-Porter. We have also enlisted the help of a crack team of make-up artists and hooligans to help us revive the make-over format we invented for Edomton's Improvaganza last year. 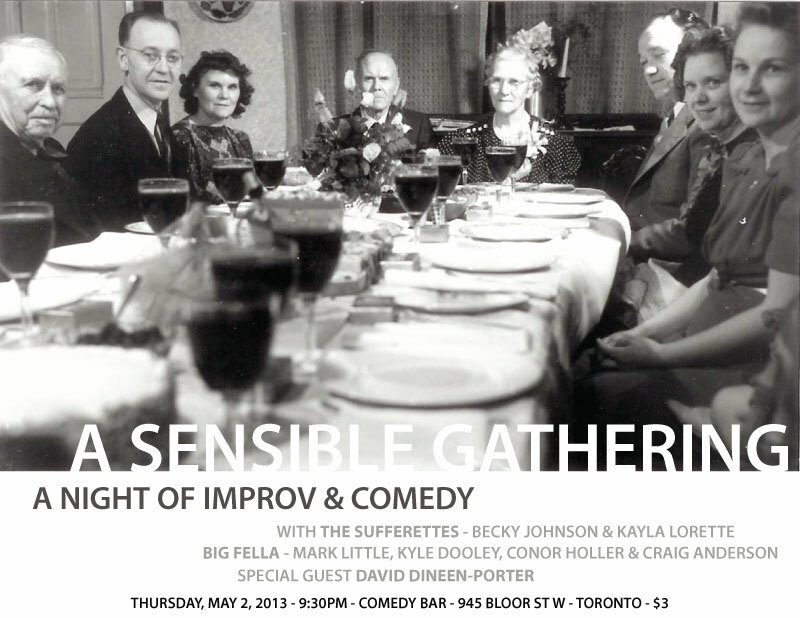 As promised, ticket prices are going up one dollar for each installment of A Sensible Gathering, so this one is $3. Get in on the ground floor before we start charging normal amounts of money!